Future Fund 10 is “Shark Tank meets philanthropy.” Nonprofit participants receive coaching and guidance from established community members as they prepare to share their vision LIVE on stage for a chance to win a grand prize of $20,000! Interested in being a COACH in 2020? 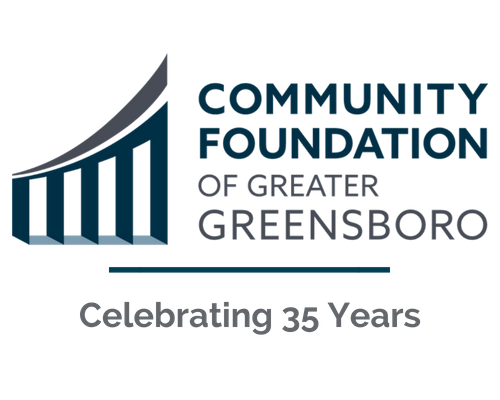 Active involvement in giving back to the Greensboro community. Exposure to issues in our community that need addressing and introductions to a diverse base of nonprofits that allow you to see ideas for solutions. A FUN and short-term way to be involved with a great event. The Coaching Group Discovery will cover what is in the coaching handbook (expectations, responsibilities, etc. ), but will also allow coaches to express what resources, tools, and skills they feel they need to provide the best support to their nonprofit teams. The Kick-Off Session is a learning experience for coaches and teams to develop strengths and build skills for success. This session will be led by a practiced professional (topics can be pitch tips, team-building, communication, etc.). New connections with others in the community. Food will be provided during coaching sessions! Coaches do not have to be experts. In fact, it’s better if they have less knowledge on the participating non-profits and their work because they can provide better feedback on how to appeal to the FF10 audience. Makes the pitch more applicable and understandable to a wider audience. Coaches should be able to give practical feedback - when you hear the pitch, does it make sense, what is good/bad, is there particular lingo that is used that doesn’t make sense to the everyday person? Coaches should have strong communication skills in order to provide useful, constructive feedback and tips for improvement. They should be willing to share ideas but also be able to listen to the input of other coaches, audience members, and their nonprofit team. Our Kick-Off Session will include a high energy, 40-minute learning experience to give coaches and presenters a customized toolbox for success. 2 additional coaching sessions will follow, with a Rehearsal and the actual LIVE event. Sessions will take place on Wednesday evenings and will last at most 2 hours.